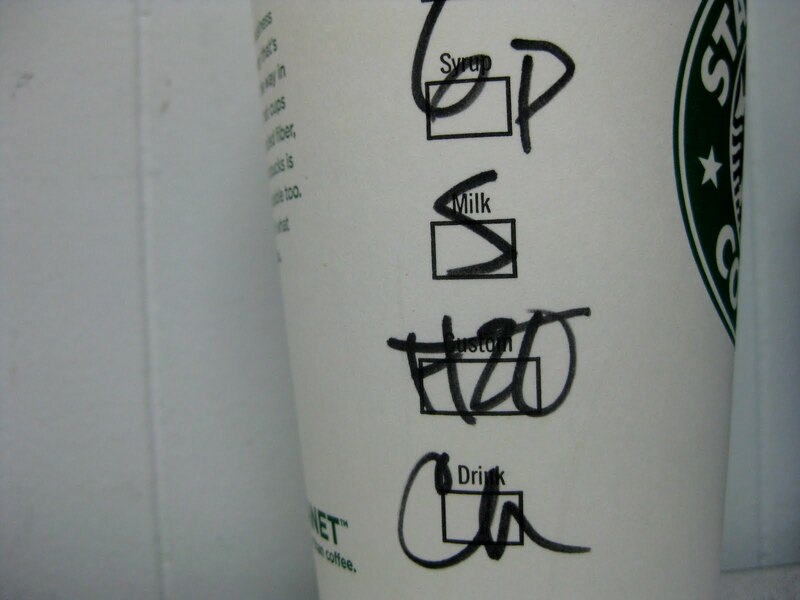 Venti 6-Pump Soy No-Water Chai. This no-water secret was told to me by one of my best friends, Sarah. 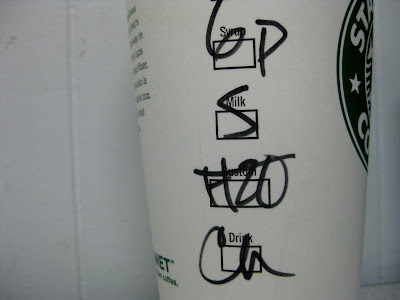 They try to throw some hot water in the tea latte drinks, even though you pay $.40 extra for soy. You're not depriving me of my soy milk, Starbucks. I loved living in the city where there was a Starbucks on every corner. There were 2 just on my block! It wasn't the best for my bank account... but it gave me time to find out the best recipe for my favorite drink. This is my favorite. It's warm, creamy, spicy with cinnamon and so delicious. I enjoy it so much this time of year, when the weather is chilly. There's nothing like a hot drink to keep your hands warm. Venti Decaf Skinny Carmel Macchiato! YUM! My drink is boring compared to yours. I'm a Starbucks white hot chocolate girl. I discovered the white hot chocolate last year and LOVE it but sometimes it's a little too sweet for me, my second choice would have to be a grande cinnamon dolce! I am crazy for cinnamon...I even put some in my chocolate chip cookies (which my husband hates) so I usually do half with and half without. And I always add extra to any recipe calling for cinnamon.